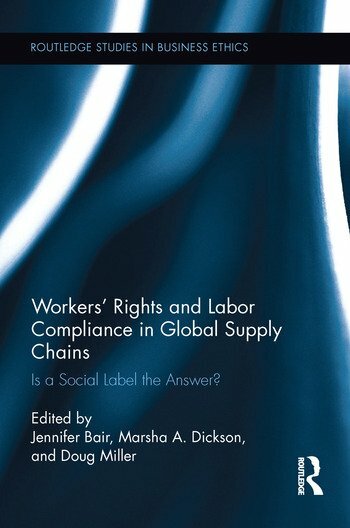 Workers' Rights and Labor Compliance in Global Supply Chains: Is a Social Label the Answer? Jennifer Bair is Assistant Professor in the Department of Sociology at the University of Colorado, Boulder, USA. Douglas Miller is Professor of Ethical Fashion in the School of Design at the University of Northumbria, UK. Marsha Dickson is Professor and Chair of the Department of Fashion and Apparel Studies at the University of Delaware, USA.